From birth Alison suffered from chronic digestive, endocrine, musculoskeletal and hearing problems. As she grew older other allergies and sensitivities were added to the list along with reproductive problems and almost constant infections. Alison consulted specialists in just about every discipline over the years and has undergone some 21 operations. She’s had a battery of tests and therapies and taken pharmaceuticals pretty much continuously for much of her life. In her early years she tried many alternative therapies, none of which really impacted her condition. In short, she never felt well and spent much of her life looking for the ‘magic bullet’ that would allow her to realize the health that had evaded her for so long. In spite of all these set-backs she qualified as a dentist in London in 1983 and obtained a Master’s degree in Restorative Dentistry from the University of Michigan, USA in 1992. 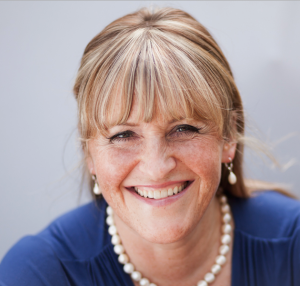 Alison worked for 18 years as a dentist and ran her own private central London dental practice for seven years. Then one day she was victim to a mercury spill in her office which eventually forced her to quit dentistry. This culminated in a health crisis that was variously diagnosed as chronic fatigue syndrome (CFS), fibromyalgia and/or an autoimmune disease. After six months of supposedly ‘curative’ rest, her symptoms deteriorated to the point that she’d become pretty much bed-ridden and house-bound. She realized that the cavalry definitely weren’t coming and started searching for answers. She began to understand that most of the conventional medical solutions she’d been offered were a big part of the problem. She vowed to use natural health means and work with her body rather than against it. During this period of infirmity Alison intensively researched topics around her health issue. She rejected outright the possibility of ‘managing’ or ‘coping’ with her illness and set her sights on a full recovery. All the books that Alison read classified chronic fatigue syndrome (CFS) and fibromyalgia as being multi-factorial. But she felt that if you couldn’t identify the cause, you didn’t stand much of a chance of finding a solution. She decided to do anything and everything in her power to fully recover. Alison ‘fell into’ Allergy Therapy and Kinesiology (both therapies employ muscle testing as a way of dialoguing with the body) which opened new inner doors of understanding for her. She studied spiritual healing gained 8 diplomas in in a variety of related subjects including Classical Kinesiology, Integrated Kinesiology and Allergy Therapy. 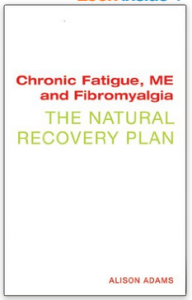 In 2010 she published her book, Chronic Fatigue, ME and Fibromyalgia – The Natural Recovery Plan. The central tenet of naturopathy is to identify and treat the cause of illness rather than treating the symptoms. It was through her research that she discovered just a how big a role mercury plays in many illnesses that we are witnessing in the developed world. She says “mercury is the most harmful naturally occurring substance and rates as the third most toxic substance known on the Agency for Toxic Substance and Disease Registry in the US”. She does a terrific job of outlining the history of mercury poisoning and explains the concept of the mouth electric, “each filling becomes electrically active within the wider environment of the mouth and the other 17 metals that may be present in crowns, bridges, posts, orthodontic braces and dentures, with saliva acting as a conductor”. When you add EMFs into the mix this hardly bares thinking about. She likens these interactions to those observed by Alessandro Volta when he created the first battery in 1800 by combining dissimilar metals with salt water, “this process results in the most electrically active fillings giving off the most mercury vapour”. There is a particular emphasis on revising dental work but also on detoxifying dental metals. You can buy the book here and the good news is I’m interviewing Alison in a few days. Thursday, 16th July at 1:00 p.m. EST (10 AM PST or 5 PM GMT) I’m interviewing Dr. Alison Adams. The interview will last approximately one hour. Dr. Adams is a dentist, naturopath and former Fatigue Related Syndrome (FRS) sufferer. She holds UK and US degrees in dentistry, eight diplomas in various aspects of natural health. She’s had articles published in dental journals and lectured to postgraduate and specialist dental groups. She now works as a naturopath, teaches and runs online support for FRS sufferers. This interview has been broadcast – sign up is now closed. ps. I did not get the confirmation e-mail!? If you still haven’t received it you can sign up with another email if it won’t let you sign up with the same email. Hope this helps. Hey Lloyd! Thanks, and right on, for channeling another dose of truth. I’m having my mercury fillings replaced in two sessions. Not cheap here in Los Angeles and, after researching, I discerned I needed to not cut corners on this one and go with a pro as it’s not a procedure for the faint of metal (pun intended). I found my dentist through the conscious grapevine and I’m dipping into my savings to get it done. I never thought I’d be excited about going to the dentist, but I am! So glad that you are highlighting Dr Adam’s research into this connection with amalgam etc, Lloyd. My EHS was certainly exacerbated by having a mouthful of amalgam fillings, a metal post and a gold crown. Strange effects also – I could feel my son’s mobile being used by the pain in my mouth (used against my requests & from a distance through my house). Also, a tooth implanted on a metal post was rejected by my body – it came out! – when I had my big EHS breakdown. Looking forward to hearing Dr Adam – thank you so much for your networking & info. I had my many mercury fillings removed by an eco dentist who provided me and himself with a lot of facial, nose and throat protection as the mercury was being drilled for removal. It must be done carefully so you don’t breathe in or swallow any mercury. My dentist would only remove and replace two (or three small ones) at a time, with a month interval – he said it would be too much of a load on my immune system to do more than that at one time. After each removal, I had an IV Myers Vitamin C Cocktail to help remove any mercury that was stirred up and found its way into my system. Before starting my removals, my dentist sent me to someone who did compatibility testing – the replacement white composite plastic fillings are made up of many components, and it turned out that some of the possible components I was allergic to. In this way, the dentist was able to create a custom blend for my new fillings that were as benign as possible for me. So glad to be rid of those awful fillings. My dentist told me that by law, the gov’t mandates dentists to submit any mercury they have removed, and eventually they are put in cement to be buried, as mercury is one of the most poisonous materials on earth. So, mercury fillings are very carefully buried in cement, but some dentists are still using them on their patients! Please spend the extra money and let an eco dentist do the mercury removal safely for you. I also didn’t receive confirmation email. I signed up again, and got message I’m already signed up. But no confirmation email yet. Nothing in spam. Thanks to all of you for your comments on this page. I pre-registered for the interview and missed it. Can you provide a link for viewing within the 24 hr window? Thanks! I will send the recording out as soon as I get it back from my tech guy – it usually takes about a day for him to prepare the file – if you’re signed up you’ll receive the link via email. Thanks to everyone who attended and everyone who sent in questions.